Staying up-to-date with routine vehicle maintenance is an important part of owning a Honda. It not only helps to ensure that everything works as it should, but it could also save you the trouble and cost of expensive repairs. 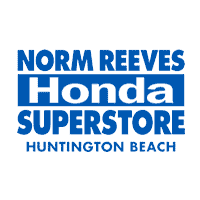 At Norm Reeves Honda Huntington Beach, we want to help our customers from across the Fountain Valley, Costa Mesa, and Newport Beach area enjoy their Honda vehicles for as long as they own them. That’s why we provide free Honda maintenance schedules on our website for you to access anytime. Learn more about our library of Honda maintenance schedules by reading below. Your Honda is made up of hundreds of moving parts, many of which need regular maintenance to keep them functioning properly. Following the maintenance schedule provided by the manufacturer is one of the best ways to avoid vehicle malfunctions and improve performance. Our vehicle maintenance schedules are set up and organized by model, so you can find detailed information that’s most relevant to the Honda you drive. You will also be able to quickly see what maintenance items might be needed, depending on the specifications of your particular model. We’ve designed the schedules this way so you can get the information you need as quickly as possible and determine if you need to schedule a service appointment. When you’ve taken the time to keep up with your vehicles maintenance schedule, you want to be sure that the service you’re receiving is high quality. The easiest way to do that is by taking your Honda to an authorized Honda dealership like Norm Reeves Honda Huntington Beach. The certified technicians have special training and years of experience working on Honda models. They also use high-quality OEM parts, so your Honda is repaired using the same parts it was built with. When looking for a service center for your Honda maintenance, you should be sure to ask them about their staff as well as the parts and equipment they use. Repair shops with certified technicians and cutting-edge technology not only provide professional vehicle maintenance, but they also can typically complete the work faster, so you can get back behind the wheel sooner. After you’ve had a chance to view your Honda maintenance schedule, you can schedule a service appointment at Norm Reeves Honda Huntington Beach. Our Honda certified technicians have helped drivers from across the Fountain Valley, Costa Mesa, and Newport Beach area keep their vehicles running smoothly for years.